This op-ed was originally published in The Guardian on October 5, 2014. Like many other large brand names, the National Football League has long tried to use its alleged commitment to breast cancer to distract the public from its misdeeds around this time of year – particularly concerning women. Don’t look at the unchecked domestic and sexual violence, the extraordinarily high rates of brain disease that ruin careers and families, or the poor pay and working conditions for cheerleaders. Look over here at this enormous pink ribbon on the field! Look at the players wearing pink helmets and gloves and shoes! You can even buy your own! See how much we care about women?! Pink ribbon marketing is great PR; breast cancer is good for business. Corporations use Breast Cancer Awareness Month to make money every October from pink merchandise and to make even more money in the long-term by generating customer loyalty for a supposedly do-good brand. As for the women living with and at risk of breast cancer, we supposedly benefit from all this “awareness”. In reality, the NFL’s support of breast cancer philanthropy is outrageous, hypocritical, outdated and inaccurate. The NFL is exploiting breast cancer for its own gain and setting a pathetic example for big business: with nearly $10bn in annual revenue, they have given a mere $4.5m to breast cancer research since the pink misdirection play began. By picking a “popular” cause, rather than something actually relevant to the league like violence against women, the NFL throws a smokescreen over the fire of sexism, misogyny and objectification of women raging in its own backyard. 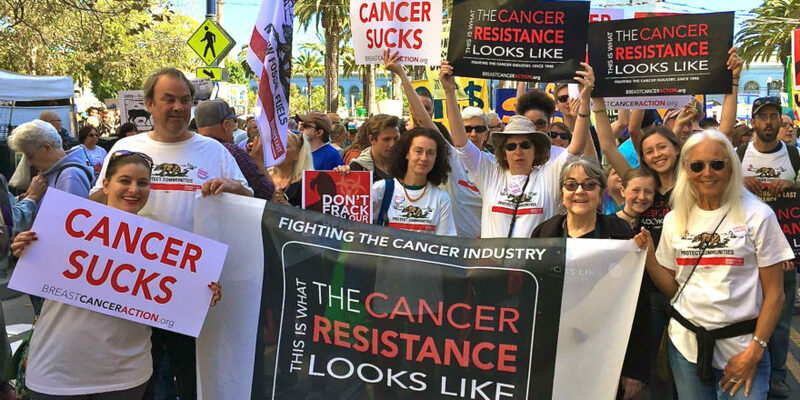 And according to an analysis last year by Business Insider, just over 8% of the profits from all those pink trinkets, from footballs to rhinestone bracelets, went to actual cancer research. But now the NFL can add one more embarrassing oversight to its mistreatment of women: bad medical advice. 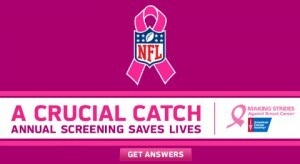 The mainstay of the NFL’s so-called Crucial Catch program is the promotion, on-air and in stadiums, of annual mammography screening for women age 40 and over. 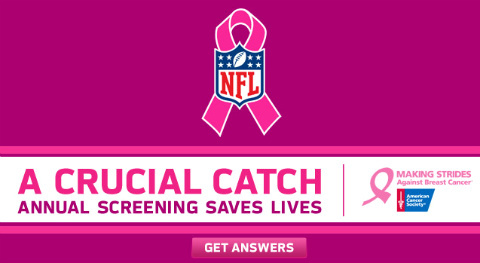 By repeating an overly simplistic and disproven promise that “annual screening saves lives”, the NFL isn’t just failing to improve women’s health – the league is doing us a grave disservice full of medical misinformation. By partnering with the American Cancer Society to urge women to undergo tests, the NFL is veering from professional sports empire to public health advisor. Why is the NFL giving women medical advice in the first place? 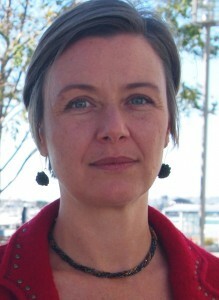 The league’s claim that “annual screening saves lives” has been widely discredited by numerous studies showing that it’s not mammograms that save lives: regardless of whether breast cancer is found through an annual screening or by a woman herself, the best way to prevent death from breast cancer is by providing accessible, high-quality, evidence-based healthcare and treatment in a timely, sensitive way. Imagine seeing that on a pink NFL billboard. In 2009, when the NFL started Crucial Catch, the evidence was clear that mammography screening had been overhyped as a solution to breast cancer. In that year, the US Preventive Services Task Force changed their recommendation that women have mammograms every one to two years starting at age 40 to every two years starting at age 50. Now, five years into the NFL’s outdated and inaccurate campaign, the evidence is even more overwhelming that early detection is a flawed strategy that distracts from meaningful solutions. Oversimplified messages and widespread falsehoods like the NFL’s can lead many women in the US to overestimate their risk of breast cancer, overestimate the benefit of mammograms and underestimate the harms from routine screening. Inaccuracies like the NFL’s manipulate women’s emotions through fear-mongering and false promises. If the NFL truly cares about the health of its female fans, it will stop spreading bunk science to women at cancer risk. If the league cares at all about the health of its own employees, league officials will confront concussions and ensure that their cheerleaders are fairly paid. And if Roger Goodell and Co really care about the health of all women, it will focus on violence against women at the hands of some of those employees and stop using pink ribbons as a distraction. Because the NFL may be good at selling little pink footballs and forcing players to wear pink cleats, but it’s terrible at public health.